US Black Metal - fast, morbid & violent ! NWOBHM Classic Single from 1984 ! Official CD replica of the original single ! South-american Blackened Thrash/Death Metal ! Swedish Power-Metal ! Melodious & classy ! US Speed/Thrash legend ! Their full-length album of 2010 - re-released 2016. Re-release from the 1996 album w/bonus. Greek CULT Black Metal. Eight tracks of raging metal punk madness! Great newcomer in traditional Heavy-Metal ! Get this !!! Very surpring new album by DR. X ! Hard-Rock with progressive, country, rock influences ! Sounds really fresh & new ! With female vocals ! Get your ears on Dr X now !! Debut album by mastermind Mia ! Heavy/Black the swedish way ! DRACENA plays Traditional Black/Thrash Metal ! For fans of: VENOM, BATHORY, NIFELHEIM, WATAIN... Dark, Obscure, Evil & Heavy as HELL ! METAL PUNK - raw & fast ! Symphonic Power Metal w/female vocals. "Vintage" Doom - for fans of Electric Wizard, St Vitus ! NWOBHM band - Recorded live at The Ruskin Arms, London & The Horn Reborn, St. Albans. 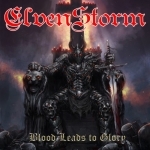 The long awaited second album by french metal horde ELVENSTORM now out !!! 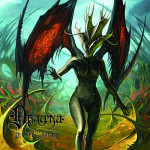 Fantastic "Teutonic" heavy-speed metal with female vocals !